Optimism is in the air in the islands as trees, flowers, birds and animals recover and return. 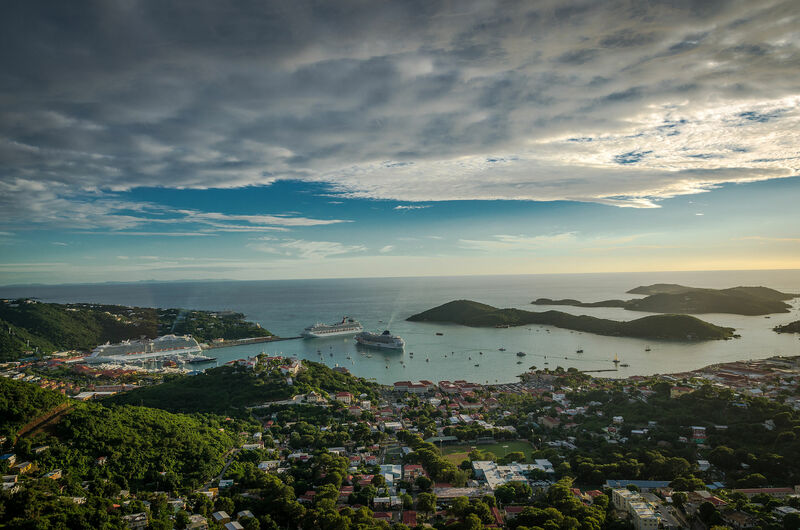 On St. Thomas, cruise ships again visit Charlotte Amalie. Beautiful Magens Bay beach has reopened. Cruise ships will also soon resume visiting St. Croix where resorts have reopened. And, on St. John, Hawksnest and Honeymoon beaches are open again. Amid recovery, people have some time for reflection. They look for meaning in the catastrophe – or, at least solace. Roman philosopher Livy was correct when he said “the best medicine for a sick mind is the study of history.” So, as a comfort, I looked at eyewitness accounts of previous historic Caribbean hurricanes. Neverthess, all four of Columbus’ ships survived, though seriously damaged. This brings vividly to mind post-Irma photos of harbors in Tortola and St. John (minus steam ship funnels). And, descriptions of the towns and hills themselves are all-too-familiar. Indeed, in trying to describe the aftermath of San Narciso’s fury, 19th century witnesses hit upon the same words we used 150 years later to describe Irma: as if a bomb had gone off; trees suddenly as bare as winter; hillsides as though swept by fire. That was actually written on November 3, 1867 by Royal Navy Captain L. Vessey of the HMS Darwin who was among the first to arrive in Charlotte Amalie to offer help after San Narciso. Captain Vessey was also the first visitor to arrive in Tortola where he saw that every house in Road Town had lost its roof. He also learned the ghastly story of the wreck of the famous RMS Rhone, then thought to be unsinkable and today a favorite diving spot. The Rhone’s captain and 122 crew and passengers lost their lives in a desperate attempt to save the ship by steaming toward the open sea through the gap between the British Virgins of Peter Island and Salt Island. But, she struck a submerged rock and quickly broke apart and sank in mountainous swells. Although she could carry more than 300 passengers, fortunately most had disembarked days earlier. More on the Rhone and the San Narciso hurricane can be found in my fact-based novel “Santa Anna’s Gold in a Pirate Sea” on Amazon. Consider that survivors of these storms and subsequent generations successfully cleaned up, rebuilt and constructed far more beautiful, bountiful and sustainable tropical island communities and resorts than Alexander Hamilton or Captain Vessey could have imagined. And, now we are doing the same.